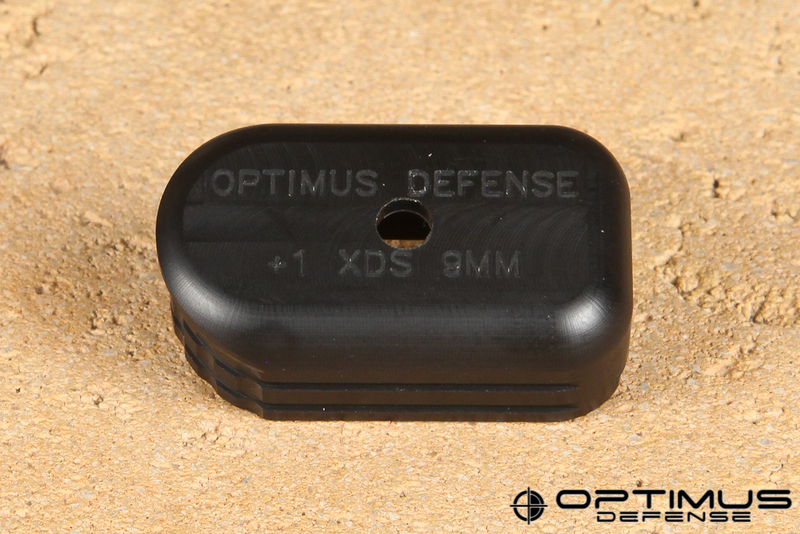 Optimus Defense +1 Magazine Extension for XDs-9mm gives one more round of ammo and a pinky finger grip to a standard size (7rd) XDs-9mm magazine. 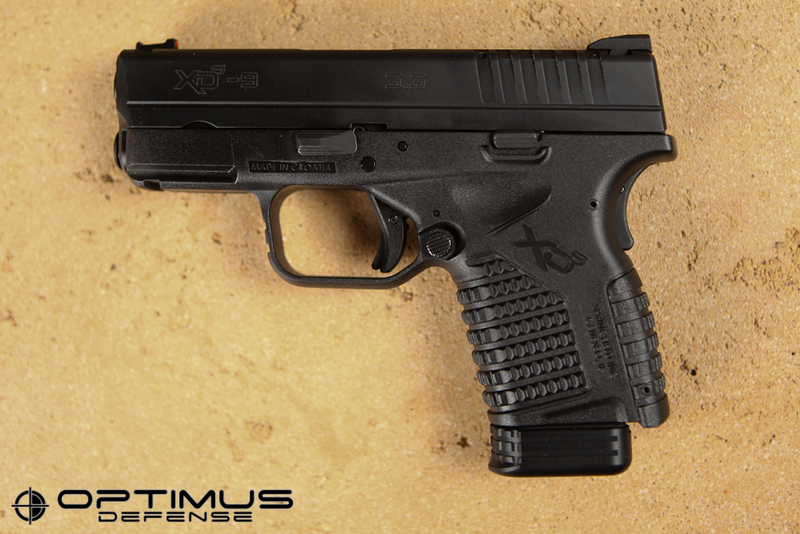 With this extension, your XDs magazine will hold 8 rounds of 9mm. 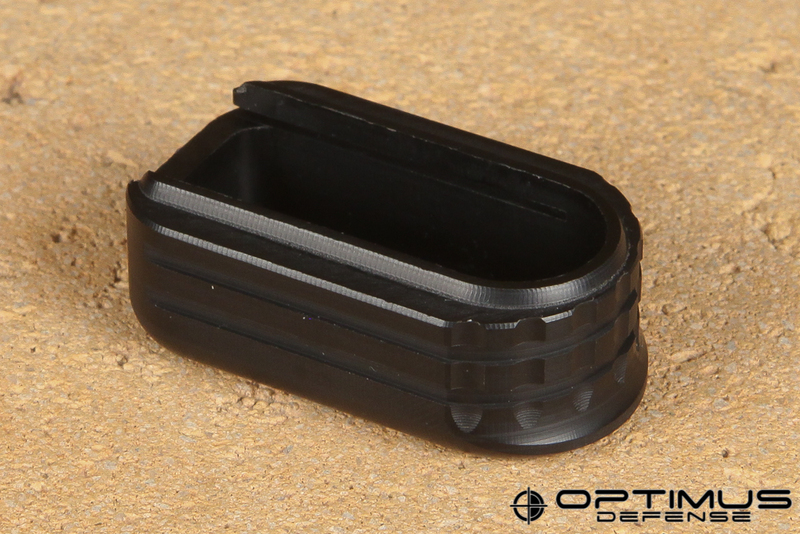 Designed for concealed carry, this magazine extension is rounded and as small as possible so to not "print" any more than the factory configuration. 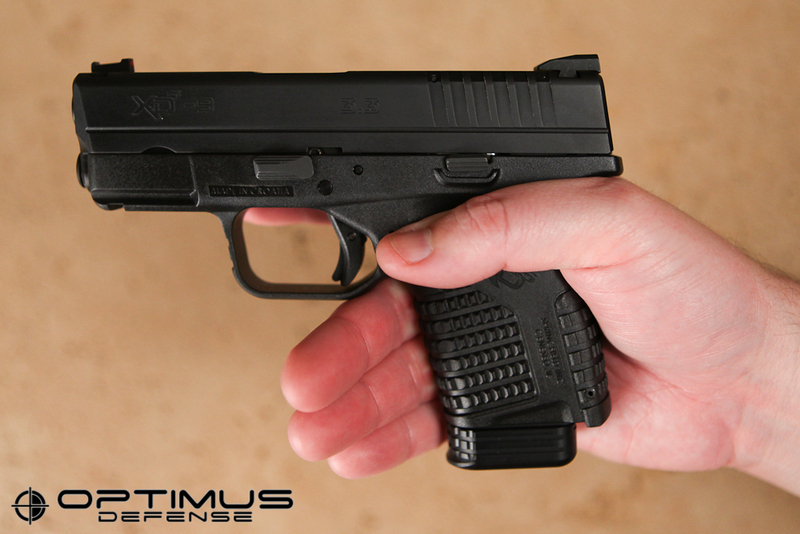 To install, simply remove the factory XDs magazine base plate and slide on the Optimus Defense +1 Magazine Extension. Warning: compressed magazine spring could shoot out, so wear safety glasses when removing and installing magazine bases. Precision CNC machined out of impact resistant ABS polymer. 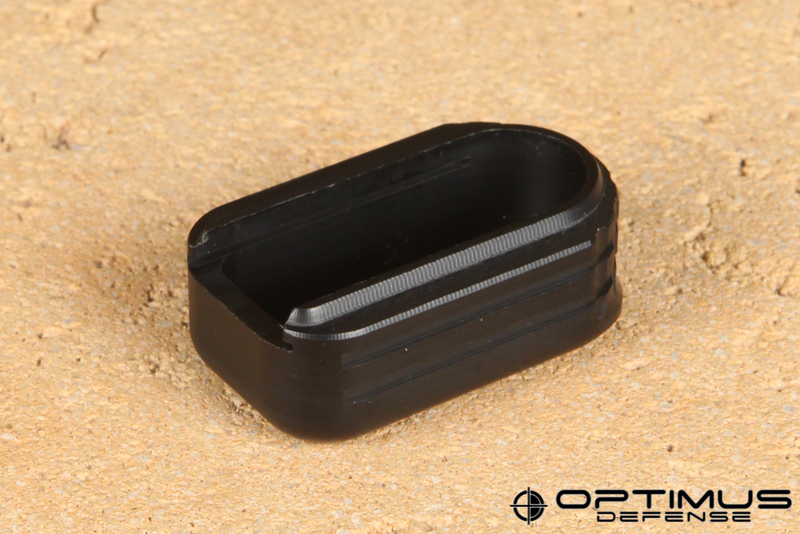 Compatible with factory XDs 9mm 7rd magazines. Perfect fit for S-M size hands, but also works for L size hands (some pinky finger overhang with large hands, but still allows for a comfortable pinky grip). No sharp edges to pinch and poke your hands. Grooved sides for added grip when forcefully stripping a magazine during a type 3 malfunction (double feed) or clearing a magazine that did not drop freely. Only 3/8" taller than the factory magazine. Size: 1.56 x 0.91 x 0.59"
Save 20% by ordering a 3 or more. 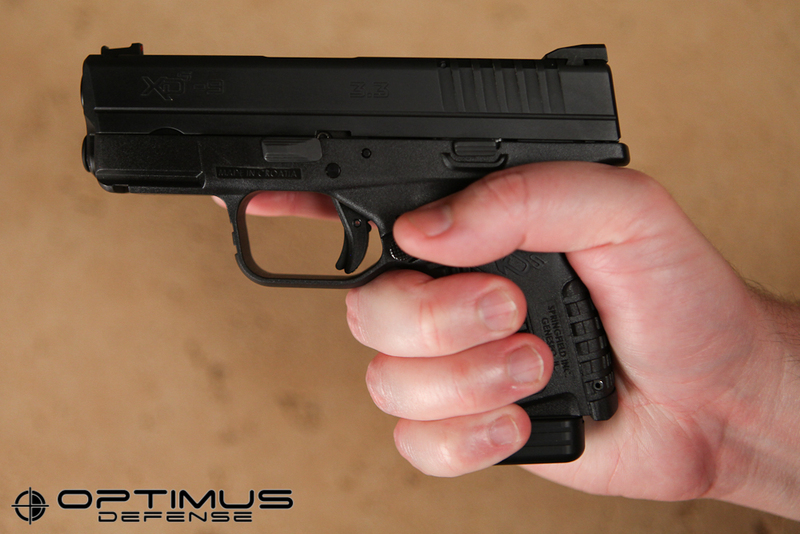 Note: This extension is not compatible with the XDs-9 9rd magazine or any XDs-45 magazines. 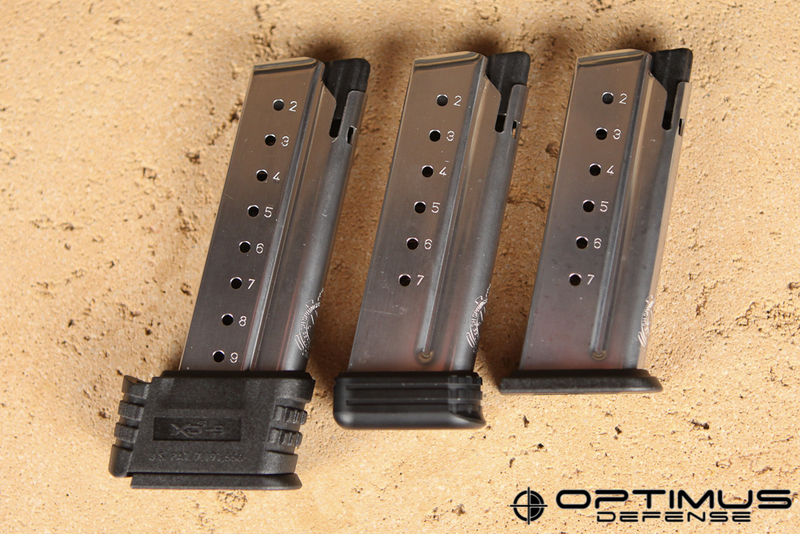 For the 45ACP version (OD023), click here.